Will and Asheley have a troubled past. Their father left them when they were little, and their mother has just been carted off to an alcohol treatment center. Now, they have the house to themselves, and an endless California summer stretching out before them. Through alternating perspectives, they tell the story of how and why their lives spun violently out of control - right up to the impossibly shocking conclusion you'll have to read for yourself to believe. I read numerous reviews on Brother/Sister before I decided to read it. Many people called the book dark and disturbing with a shocking and surprising ending. I knew I had read it. Brother/Sister was an amazing book. The writing, the characters, the plot... all of it was pretty mind-blowing. I was sucked in from the beginning and could hardly put down the book. I really enjoyed the alternating views in the story. I think Olin did a fantastic job at switching between Asheley and Will. I felt like his writing suited each character perfectly, almost as if each character was written by a separate author. I find that some authors struggle with giving each character a unique voice, but that's definitely not the case here. It was hard to find any faults with this book, but I did find a small one. How the story was told (talking to the police, but without their questions or reactions) was a little off-putting at times. It wasn't a huge problem, but just a little odd. And of course, I must mention the ending of the book. Without giving away any spoilers, it was (just as the reviews I read promised) both shocking and surprising. It could not have possibly ended in a better way. 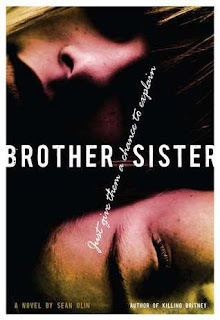 I would really like to see a sequel for Brother/Sister, but I completely understand if it doesn't. In fact, while I would like to see a sequel, I believe not having one would make much more sense in the grand scheme of things. Ending the story like Olin did was pure perfection.